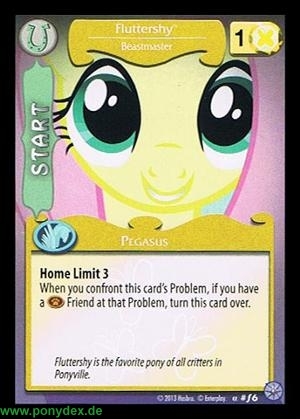 When you confront this card's Problem, if you have a Critter Friend at that Problem, turn this card over. 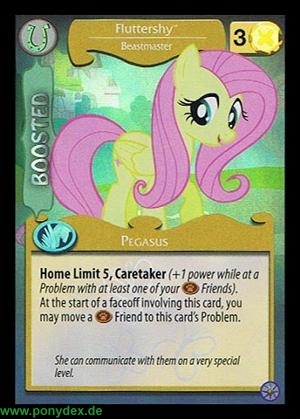 Fluttershy is the favorite pony of all critters in Ponyville. At the start of a faceoff involving this card, you may move a Critter Friend to this card's Problem. She can communicate with them on a very special level.